Joking With George | Miguelito's Little Green Car. We are all connected. The rest, he says, is history: “I played with every well known local musician after I joined the A.F.M. around 1946. He is happily retired after 38 years working in the retail industry for such notable companies as Woodward’s, Heintzman and Hudson’s Bay. He eventually found Hawaii. “It was there all the time!” He went on to produce his own Hawaiian radio show which broadcast on the historic CKUA radio station from 1949 to 1952. 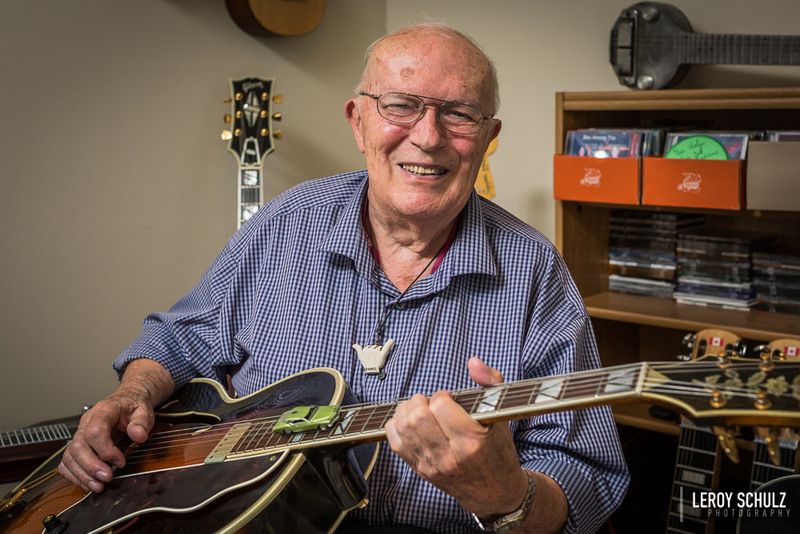 He couldn’t make “decent money” playing Hawaiian music in the “frozen North”, so he switched to country western and jazz. George played on a Hawaiian cruise from Vancouver to Hilo, Hawaii on Royal Carribean’s Vision of the Sea.